The lighting technology sector has operated with two network protocols for some considerable time: Art-Net (licence-free) and MA-Net (proprietary protocol of the company MA Lighting). 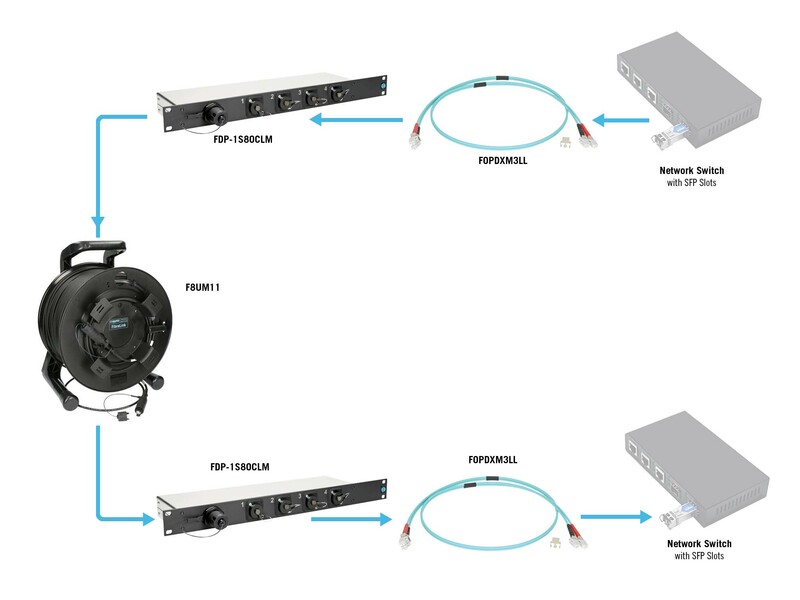 Previously used with copper network cables over distances of up to 100 m, these protocols are able to bundle large volumes of DMX control data. As in other areas, data volumes in lighting control are soaring and transmission distances are expanding. Solutions had to be found. Once again, the similarities between network protocols for lighting and existing network solutions proved to be an advantage. 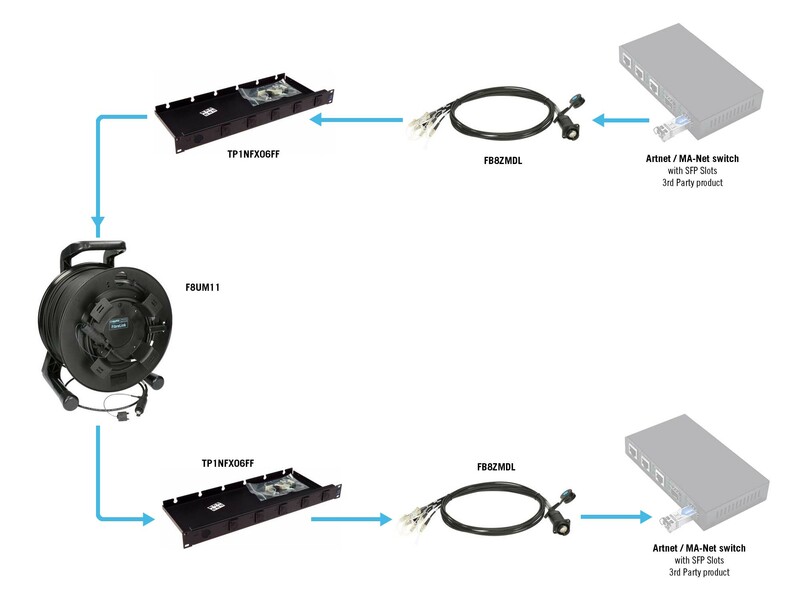 Numerous 10” hardware devices already have optical interfaces, many of which can be connected directly using our KLOTZ FiberLink Cables (with opticalCON or SmartBeam connectors). © Copyright 2018 | KLOTZ AIS GmbH | All rights reserved.